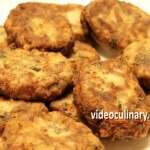 These are delicious patties made of chopped eggplant flesh, mixed with Parmesan, parsley and garlic. 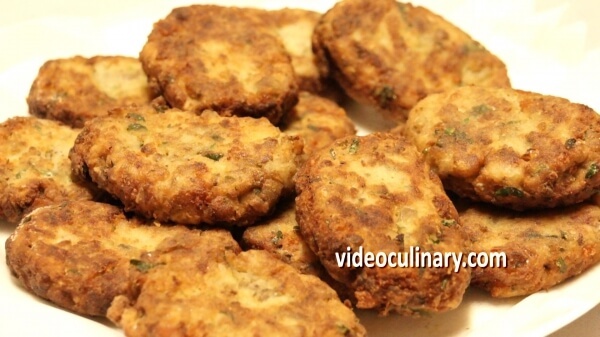 Eggplant patties are easy to make and they taste great. Preheat the oven to 200°C (390°F). 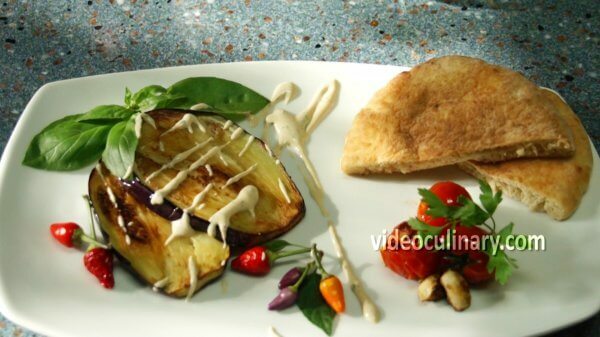 Place 1.5 kg of untrimmed eggplants in baking sheet and bake until tender, about 30 minutes, depending on their size. 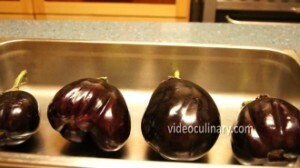 Peel the eggplant as soon as it is cool enough to handle. Place in a colander set over a bowl, and let it drain. Mince 10 sprigs of parsley, place in a bowl. 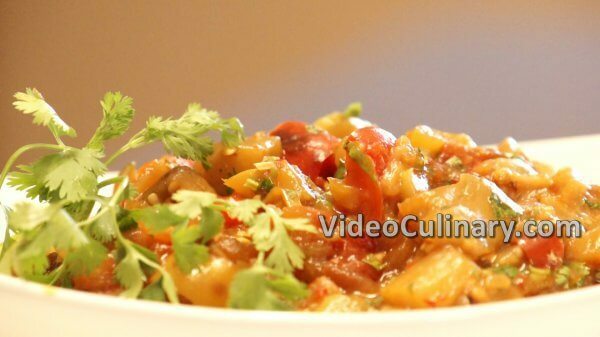 Chop the eggplant and combine with the parsley. 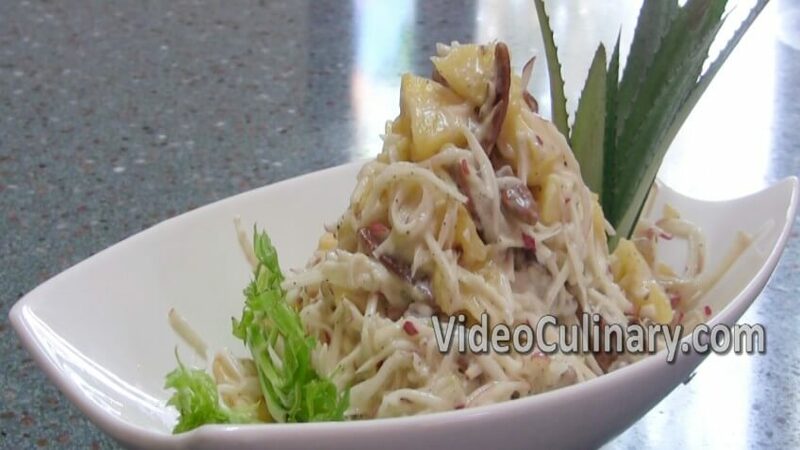 Add 1 ½ teaspoons of salt, ½ teaspoon of pepper, 2 minced garlic cloves, an egg and 50 grams (1.8 oz) of parmesan cheese. Mix, and add 80 grams (2.8 oz) of breadcrumbs. 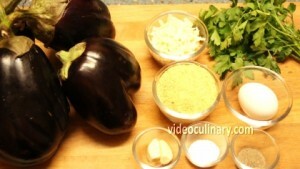 If the mixture turned out too thick, add some of the drained eggplant liquid back into the mixture. Shape the patties and coat them in flour. Fry in very hot oil. 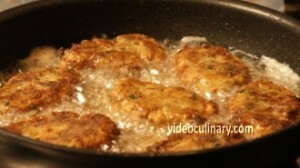 Turn the patties once they formed a nice golden crust. Transfer them to a plate lined with paper towels to soak up the extra oil and serve.